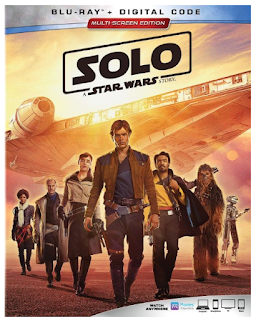 We're giving away five (5) digital copies of Lucasfilm's Solo: A Star Wars Story, and all you have to do is provide your name, email and mailing address... No trivia questions, running through hoops, etc.. How easy is that? We'll select five winners (one copy per household) and send your digital copy via USPS. All entries must be received by Tuesday, September 25th at 11:59 PM EST, so act fast. Good luck! Synopsis: Lucasfilm’s “Solo: A Star Wars Story,” directed by Academy Award-winning filmmaker Ron Howard - the creator of unforgettable films, such as “A Beautiful Mind,” “Apollo 13,” “Parenthood” and “Splash” - took moviegoers on this summer’s wildest ride with the most beloved scoundrel in the galaxy, Han Solo (Alden Ehrenreich.) The action-packed journey explores Han’s first encounters with future friend and copilot Chewbacca (Joonas Suotamo) and notorious gambler Lando Calrissian (Donald Glover), as well as his adventure-filled past alongside fellow street thief Qi’ra (Emilia Clarke) and career criminal Beckett (Woody Harrelson.) Watch instantly on September 14th as the Millennium Falcon sets course digitally in HD and 4K Ultra HD and on Movies Anywhere, and bring the adventure home on Blu-ray 4K Ultra HD, Blu-ray, DVD and On-Demand on September 25. 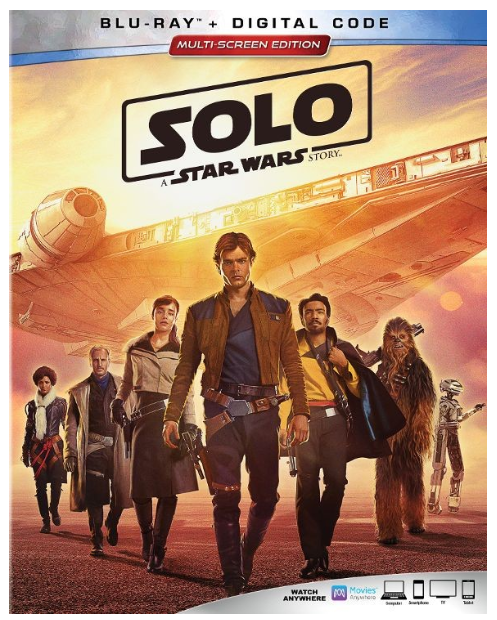 Solo: A Star Wars Story is available on Digital September 14th and Blu-ray/DVD September 25th. Click here to purchase online.